Basketball is in full swing, but the football news keeps coming. 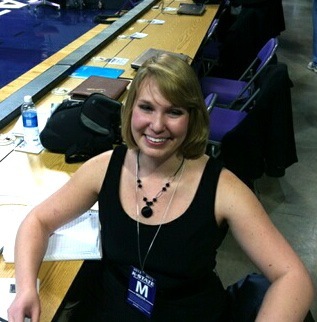 Here is a quick recap in case you have been, well, devoting your attention to basketball. Bill Snyder is not going anywhere. That was the message when the coach and school inked another five-year deal that will pay the Kansas State football program’s venerable leader $14.75 million in the coming years. For the 2013 season, Snyder will earn at least $2.75 million with the possibility to rake in much, much more. If the coach had been under the same terms for this season, his take would have included a total of $300,000 in bonuses alone: $100,000 for winning the Big 12 Championship, $100,000 for reaching a BCS bowl and $100,000 for finishing in the BCS Top 10. When will Snyder have time to spend this money? No one knows, but it would be hard to believe he does not have a plan, and if forced to guess, one would have to imagine that many, many descendants of Snyder will not have to worry about college tuition money. 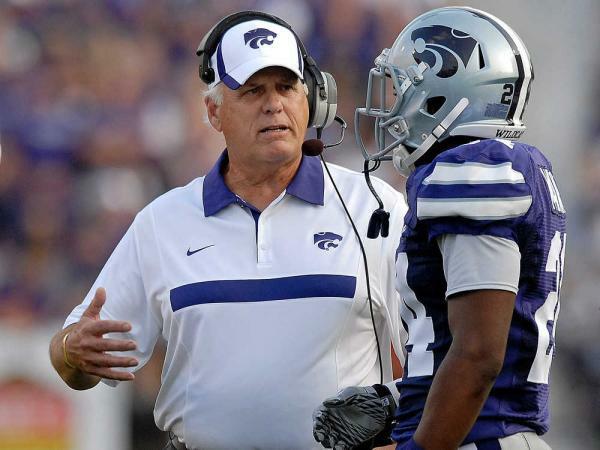 Kansas State lost two of its youngest coaches – and not coincidentally two of its best recruiters – with the departures of defensive ends coach Joe Bob Clements and wide receivers coach Michael Smith. Both played for the Wildcats, and both had coached at Kansas State for over a decade. Clements is now the defensive line coach for the Oklahoma State Cowboys. Smith will be the wide receivers coach at Arkansas. Stepping into the defensive ends coaching position for Kansas State is Blake Seiler, who played for the Wildcats from 2004-2006. As another young assistant coach – quite a bit younger, actually, than Clements or Smith – Seiler should be able to relate to recruits. Before he gets to do any coaching, he may need to win over the hearts of those incoming players whose initial contact with the program was through Clements, who is obviously no longer with Kansas State. It will not be long before everyone sees how well Seiler managed in that regard; National Signing Day is Wednesday, Feb. 6. 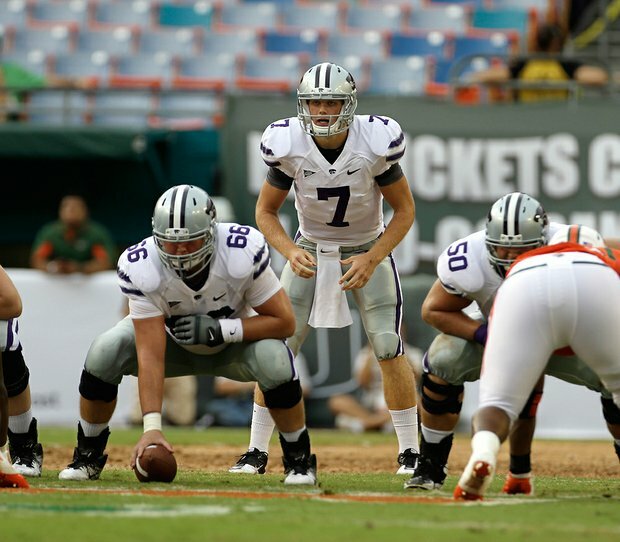 Kansas State faces a variety of foes with fast attacks. Baylor, Missouri, and – on Saturday – Texas Tech are just a few fellow Big 12 teams who place a high priority on hurrying. Their efficiency in getting to the line of scrimmage, calling the play and snapping the ball can put defenses on their heels. While this style may work for some teams – although apparently not against the Wildcats – Kansas State employs a slightly different modus operandi. The Wildcats regroup behind the line of scrimmage, strategize, converse, compare notes. Smaller numbers continue to replace larger ones on the play clock. The players break from the huddle and get set. Quarterback Collin Klein and others look at their coaches on the sideline. The crowd begins to count. “Five! Four! Three! Two!” Center B.J. Finney snaps the ball. That sort of routine is why the Wildcats lead the Big 12 and the nation in time of position, on average holding the ball for nearly 36 minutes per game. Keeping the other team’s offense off the field is certainly a priority, but Kansas State has also been careful to actually make use of that time. As far as the slower-moving strategy, Harper has bought in. Besides that, resisting the urge to turn the game into the foot race shows a certain obstinate attitude, and it fits the Wildcats well. Those steamy summer two-a-days and weight room sessions pay off when the Kansas State offense is on the field for drives that last five minutes or more. They also give the Wildcats an advantage in the fourth quarter, when the team must stifle the comeback attempts of its opponent or launch a final rally of its own. At 5-0, the Wildcats are in better shape than most imagined they would be. Pervasive skepticism before wins over Miami, Baylor and Missouri has dwindled some, but Kansas State is still the underdog going into Lubbock this weekend. The players, however, seem a little tired of addressing what they can’t control – like the perception of whether Kansas State is a legitimate threat for the Big 12 title and possibly more. So far, that’s looking like a good strategy. Kansas State should easily win the first two games, simply because that’s the reason those games are on the schedule. The next nonconference game is at Miami, and while the Wildcats might win that one, I think the players might need a few more game experiences together before being able to take a decent opponent on the road. I think Kansas State should win against Baylor because it will have the home field advantage and because the Bears have a very talented offense but marginal defense. For my first major upset pick, I’ll take Kansas State over Missouri simply because then everyone will have played a few games together, it’s home field advantage, and the Tigers are short some of their big names from last season. I’m picking the Wildcats over Texas Tech and Kansas because, although those are road games, I think both those teams have some rebuilding going on that can be exploited. However, Kansas State will likely lose to Oklahoma simply because it’s hard to compete with the physical ability of the players on a team that is No.1 in the country going into the season. At Oklahoma State, my thought is that the Wildcats won’t be able to keep up the pace on offense. It will be a shootout, and it’s a game Kansas State should be competitive in, but the edge goes to the Cowboys, in my mind. Against Texas A&M in Manhattan, I think the Wildcats can pull another upset. I don’t necessarily have much of a concrete reason for this one; it’s just a feeling. At Texas, I put Kansas State as losing because the Wildcats have beaten the Longhorns so much recently. They’ll be out for revenge, and in Austin, they just might get it. Lastly, the Wildcats should beat Iowa State at Bill Snyder Family Stadium. While the Cyclones are not a pushover, Kansas State should be able to fend them off at the end of the season. While a spring game doesn’t usually give a solid idea of whether a team is good in comparison to other teams, it can sometimes yield hints of which players are confident and which players work well together. In my opinion, that is exactly what the “15th spring practice,” as head coach Bill Snyder referred to it, did for the Wildcats. For my actual story on the game, read this or this or this – that’s the beauty of writing an article for the Associated Press. Here, I’ll just go through a few of my more opinionated observations about the ramifications of the Purple team’s 38-37 win over the White team. First, I’d be no less than flabbergasted if Collin Klein doesn’t end up with the starting job. Now, Snyder might not – probably won’t – announce it. It’ll more likely than not be a “surprise” just like it was last season with Carson Coffman. Klein has the most game experience and looks the most confident and most comfortable with the receivers. He played great in the spring game, just like Coffman did a year ago. I could be wrong, but I’d guess that Snyder will stick with that modus operandi for choosing the starter. Some may question his methods, but I’m sure it’s true – as the saying goes – that Snyder has forgotten more about football than most people will ever know. Secondly, the Browns are beastly, in the best way. Linebacker Arthur Brown led the team in stops. 14 tackles is impressive even in a spring game. He lived up to the hype there, to be sure. His brother, Bryce, was the most consistent rusher for the team with 73 yards. When the two, native to Wichita, decided to transfer to Kansas State, Wildcat fans were excited to see what would happen. Now they should be even more excited for the actual season. These two can make major contributions to the team, and I’m sure they will. Third, I’ve always kind of wondered why these games feature the 1’s versus the 2’s. How about first-string offense versus first-string defense and second-string offense versus second-string defense, and then mix different guys in both of those groups? Granted, the response to that suggestion would probably be, “That’s what we do in practice.” I’ll defer to coaches 9 times out of 10, but it’d be neat to have a legitimately close game instead of a falsely close game due to the old halftime score swap. Fourth, I love that the spring game allows the crowd to cheer for both teams. One the last-second touchdown drive, the band and cheerleaders were going back and forth with color chants, encouraging both sides. As the band yelled, “Pur-ple! Pur-ple! Pur-ple!” the guys with the megaphones responded, “White! White! White!” How nice to have a game in which your team cannot lose. Fifth, Snyder’s sense of humor never ceases to amaze me. He takes joy, I’m quite certain, in sabotaging reporters’ attempts to lead him into a certain response to a question. For example, when one man asked if Arthur Brown was the fastest linebacker K-State has had, because he chased a certain player all the way across the field, Snyder responded that he could catch up with that particular guy. Obviously, it was a comment made in jest. But you have to give the coach credit for making it difficult for the media to blow things out of proportion by making their comparisons – especially ones based on performance in a spring game – seem silly. All in all, it was a beautiful day for a nice, non-stressful game. Here’s hopefully the real season goes as smoothly. It’s that time of year again. The trees have recovered their leaves and those beautiful little purple flowers, the scurrying of squirrels and birds makes walking around campus a little more entertaining than usual, and there is finally no snow in the forecast. Accordingly, we sports fans and sports writers prepare ourselves for a preview of what is still probably the most popular sport of Kansas State: football. The spring game is on Saturday, and many are anxious for their first look at the new faces of the team. I have class during the press conferences this semester, but the team’s sports information director sends out a transcript of each one, so here’s the latest that coach Bill Snyder and various players have had to say about the team and its progress. First of all, the coach said the players did situational scrimmaging – setting up in preparation for different scenarios – for the entirety of Saturday’s practice. He said the quarterbacks threw for 600 yards, collectively, and took steps in the right direction for the majority of the day. Also, it impressed him that the defense held the offense to under 4 yards per rush throughout the scrimmaging, hopefully indicating that the unit will shed its reputation of not being able to defend against the run. He was happy with two groups in particular. Maybe the most publicized pair of the players on this year’s team are Bryce and Arthur Brown, brothers from Wichita who transferred to Kansas State from Tennessee and Miami, respectively. According to the online roster, Bryce is a sophomore running back, while his brother is a junior linebacker. Snyder said Bryce runs well and has really good speed and is developing into a multifaceted player who is improving his blocking and proving that he can be involved in the passing game. However, the other running backs are coming along nicely as well, the coach said. Junior linebacker Blake Slaughter had good things to say about Bryce’s brother, Arthur, when asked about him last week. Obviously, it’s hard to draw conclusions about the ability of the team as a whole from seeing part of it play against another part of it, but it is a nice opportunity to see what some of the individual players can bring to the table come fall.